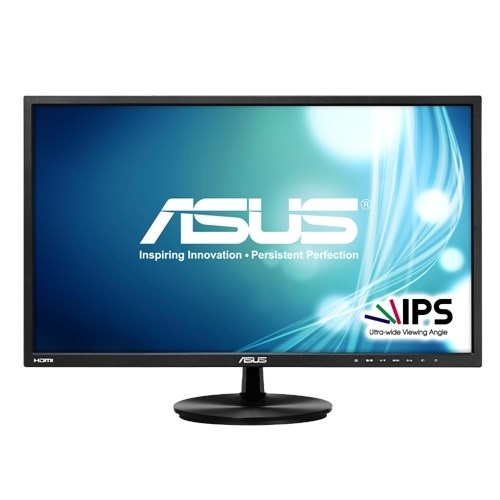 Asus VN248H full HD (1920x1080) 23.8-inch super narrow frame designed monitor has extraordinary ultra-wide viewing angle of 178°(H)/178°(V) & 5ms (GTG) response time ideal for work and entertainment. Its super narrow frame enables the facility of multi-screen solution for business and media. This IPS panel thin design has ASUS VividPixel Technology for crystal-clear and detail-oriented environment for enjoyment. Its Mobile High-Definition Link (MHL) function enhance the quality of viewing from mobile & monitor. This narrow 16.7M display color monitor has the connectivity of HDMI/MHLx2, D-Sub and 3.5mm Mini-Jack. Purchase Asus monitors at best price in Rangpur, Chattagram, Dhaka, Khulna & Sylhet and have the quality service. Choose your favorite monitor from our massive collection without surfing in different places. Order from the most reliable Star Tech online shop to have the delivery allover Bangladesh.